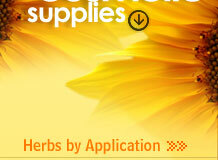 Specialize in supplying an array of Nutmeg Oil. It is native to southeast Asia and Amboine islands in the Moluccas, Indonesia. It is commercially cultivated in Indonesia (East Indian) and Grenada (West Indian), and to a smaller extent in Sri Lanka (East Indian). A spreading deciduous evergreen tree 15 to 20-meters (49 to 66 ft) high, with dark green leaves, yellow flowers without petals and large yellowish fruit. All parts of the tree are aromatic. Female trees produce the pale brownish yellow, fleshy fruit that splits into two at maturity. The oil has the characteristic aromatic, volatile, oily-spicy fragrance of whole nutmegs. Nutmeg is the actual seed of the tree, roughly egg-shaped and about 20-30 mm long and 15-18 mm wide, and weighing between 5 and 10 grams dried, while mace is the dried "lacy" reddish covering of the seed. Several other commercial products are also produced from the trees, including essential oil, oleo resin and nutmeg butter. Chemical constituents: Nutmeg oil has various chemical compounds that include monoterpene hydrocarbons, oxygenated monoterpenes, Terpinen-4-ol, Pinene, Sabinene, Cineole, Camphene, Limonene, Myristicin and Alpha Terpenene. Extraction: It is extracted by the steam distillation of ground nutmeg. Nutmeg may be used in a massage oil for the relief of muscular aches and rheumatic pain. The therapeutic properties are analgesic, anti emetic, antioxidant, antirheumatic, antiseptic, antispasmodic, antiparasitic, aphrodisiaac, cardiac, larvicidal, laxative, stimulant(energetic) and tonic. It helps in removing problems which results in arthritis, constipation, fatigue, muscle aches, nausea, neralgia, poor circulation, rheumatism and slow digestion. Nutmeg essential oil is rejuvenating, uplifting and energizing. Nutmeg have great taste qualities, nutmeg having a slightly sweeter and more delicate flavor. It is nice in cheese sauces and is best grated fresh. In Indian cuisine nutmeg is used almost exclusively in sweets. It is known as jaiphal in most parts of India. It is also used in small quantities in garam masala. In other European Cuisine nutmeg is used especially in potato dishes and in processed meat products, they are also used in soups, sauces and baked goods. The Japanese varieties of curry powder include nutmeg as an ingredient. Nutmeg is a traditional ingredient in mulled wine and eggnog. beverages and sweets etc. It replaces ground nutmeg as it leaves no particle in the food. The pericarp (fruit/pod) is used in Grenada to make a jam called Morne Delice. In Indonesia, the fruit is sliced finely, cooked and crystallised to make a fragrant candy called manisan pala ("nutmeg sweets"). Nutmeg oil is a component in men's fragrances and spicy perfumes. 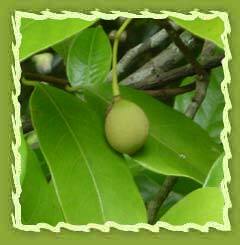 The nutmeg oil is used in perfumery and pharmaceutical industry and smells and tastes spicy. The essential oil is also used in the cosmetic and pharmaceutical industries for instance in toothpaste and as a major ingredient in some cough syrups. In traditional medicine nutmeg and nutmeg oil were used for illnesses related to the nervous and digestive systems. Myristicin in the essential oil is probably the agent responsible for the hallucinogenic properties of nutmeg oil. Nutmeg butter is obtained from the nut by expression. It is semi solid and reddish brown in colour and tastes and smells of nutmeg. Approximately 75% (by weight) of nutmeg butter is trimyristin which can be turned into myristic acid , a 14-carbon fatty acid which can be used as replacement for cocoa butter, can be mixed with other fats like cottonseed oil or palm oil and has applications as an industrial lubricant. Myristicin, 5-allyl-1-methoxy-2,3-methylenedioxybenzene, is a natural ingredient present in the nutmeg which is used as a insecticide with possible neurotoxic effects. It is mildly counter-irritant and is used in liniments and hair lotions. Although it is recommended that nutmeg oil in little quantity be used for skin care in general, any cream containing it can help with relieving muscular pains and aches, it has a good toning action on hair.